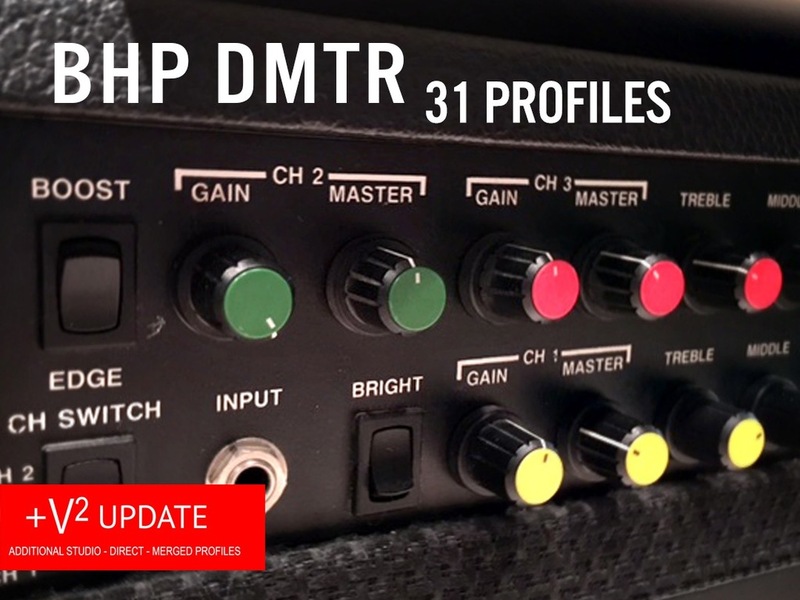 The BHP DMTR Profile Pack seeks to recreate the classic guitar tones from rigs and recordings that incorporated the Demeter TGA-3 amplifier and TGP-3 preamp + VHT power amp combination. 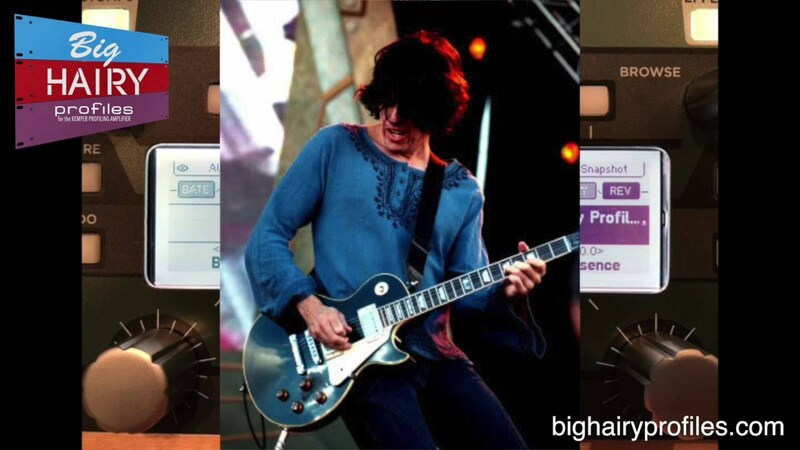 The TGP+VHT rig is the notorious amp combination that Dean DeLeo has used to create the signature Stone Temple Pilots tones. The TGA is the 3 channel Demeter head that was used by great guitarists such as Bonnie Raitt and Michael Ward, and Ben Harper. TGA and TGP are masterful designs of James Demeter. 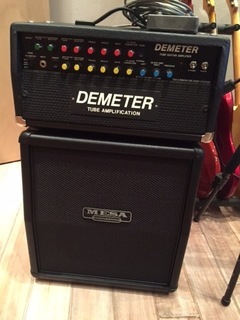 The are 3 channel designs that range from Fender Tweed to bomastic furry Marshall tones, all with a little unique Demeter fairy dust. Channel 1 alone would be a phenomenally versatile amp that goes from clean to plexi, but channels 2 and 3 progressively take the tones to new levels of energy and gain. 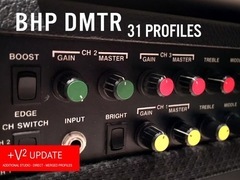 The BHG DMTR is a pack of 31 profiles for use with the Kemper Profiling Amplifier. 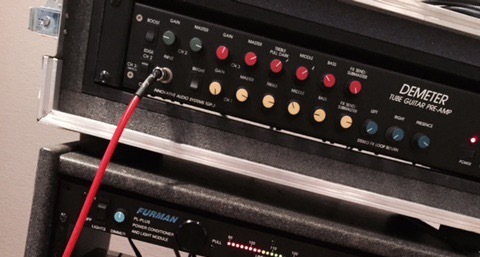 The DMTR V2 patches are 7 new STUDIO, DIRECT, and MERGED profile, ranging from clean to full searing lead. It's the first time I've ever released Direct profiles. 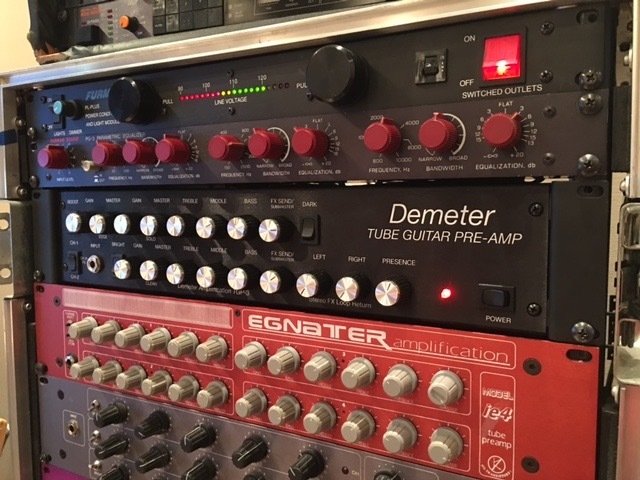 All of the V2 profiles were recorded with a gorgeous chrome faced VHT Classic EL34 power amp, which I didn't have when working on the V1 (so that's new too).